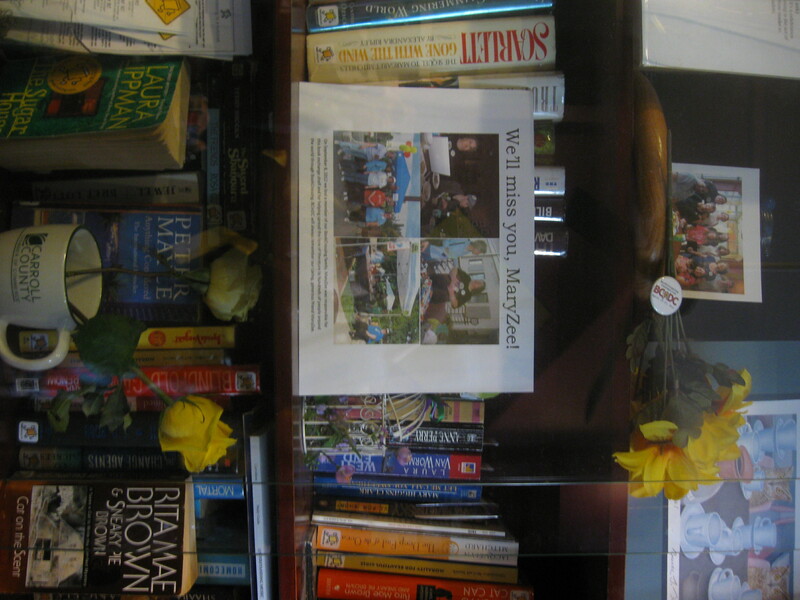 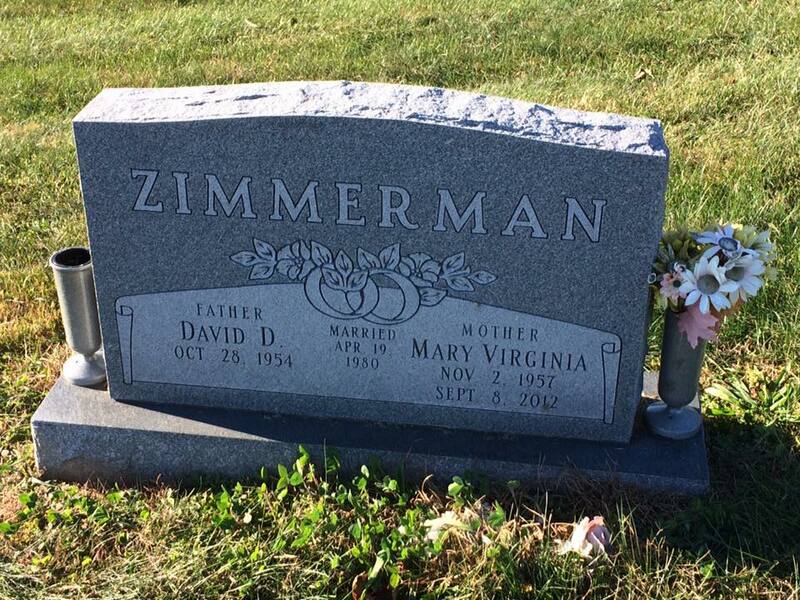 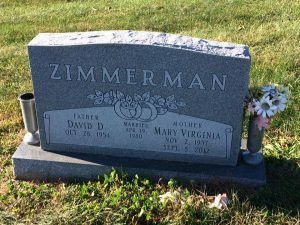 On September 8, 2012, Mary Zimmerman, known to BookCrossers worldwide as MaryZee, passed away. 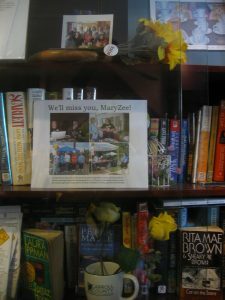 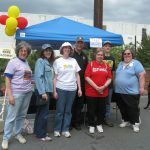 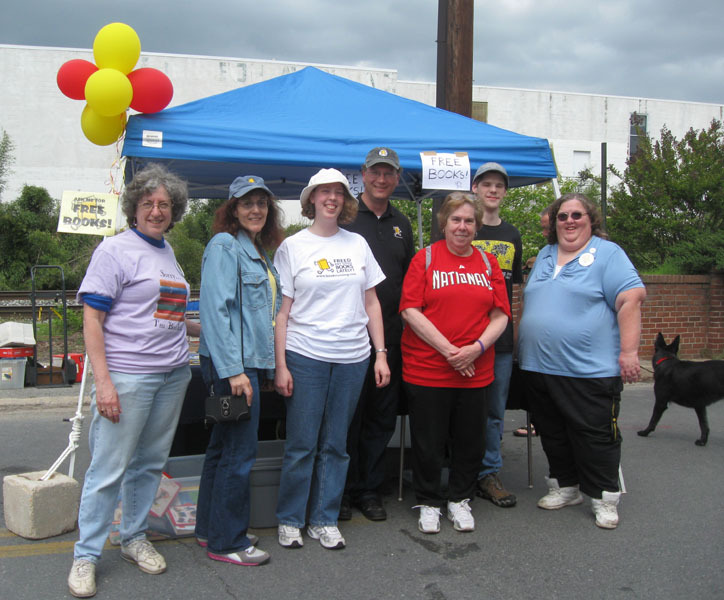 MaryZee was instrumental in BCinDC’s participation in several book festivals in Maryland, including the Penquin Random House Book Festival at Carroll Community College and the Gaithersburg book festival. 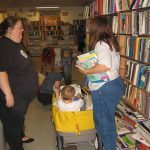 She started a number of book rings/rays/boxes, including a “Biographies of Things” bookbox that continues on in her memory. 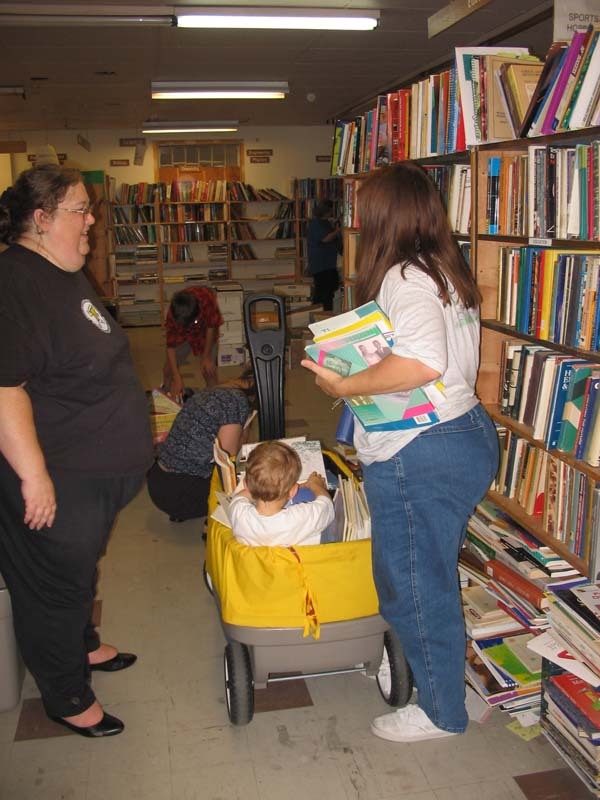 She also began several OBCZs in her area, wishing to give traveling books a safe place to find their next readers. 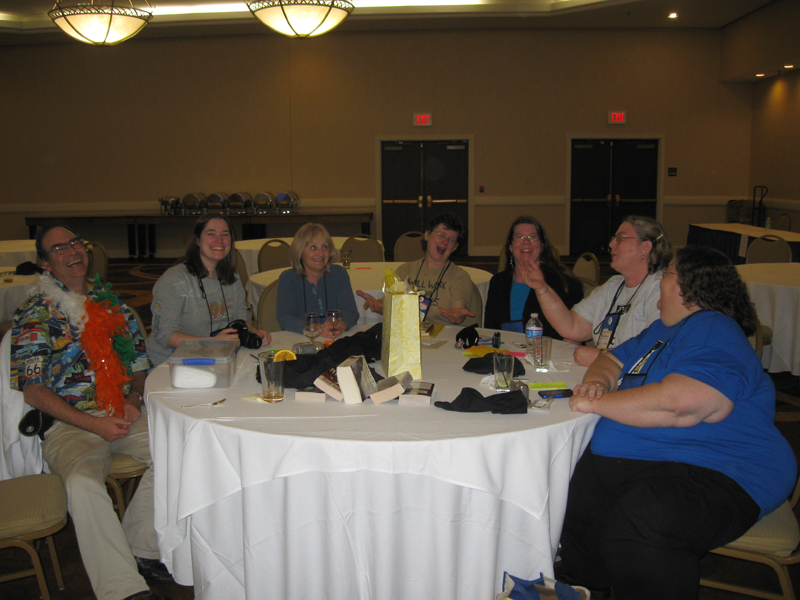 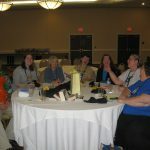 BCinDCers can tell you hundreds of stories about what a wonderful presence MaryZee was in our group. 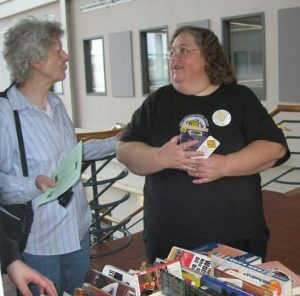 She built friendships with so many of us and shared with us her humor, advice, enthusiasm, generosity, and (of course) books. 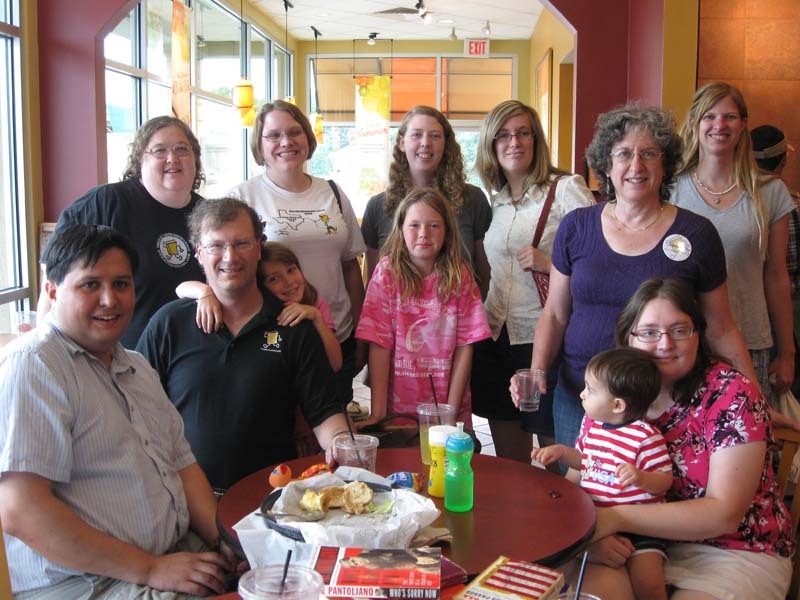 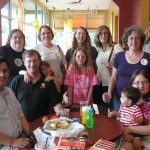 MaryZee’s birthday was November 2, so every year BCinDC members meet during the closest weekend to that date at Birdie’s Cafe in Westminster, Maryland. 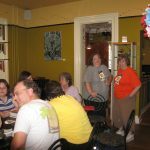 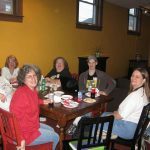 MaryZee originally started an OBCZ at the Pour House and feared that when it was sold and made over as Birdie’s Cafe, that would be the end of the OBCZ. 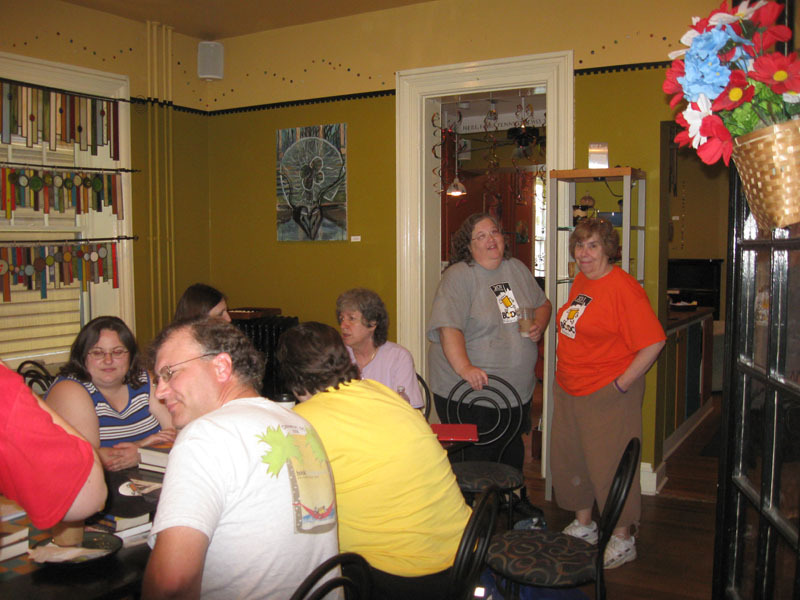 But the staff at Birdie’s was happy to keep the exchange cabinet there, which is always kept full of great books, thanks to the many book-loving patrons. 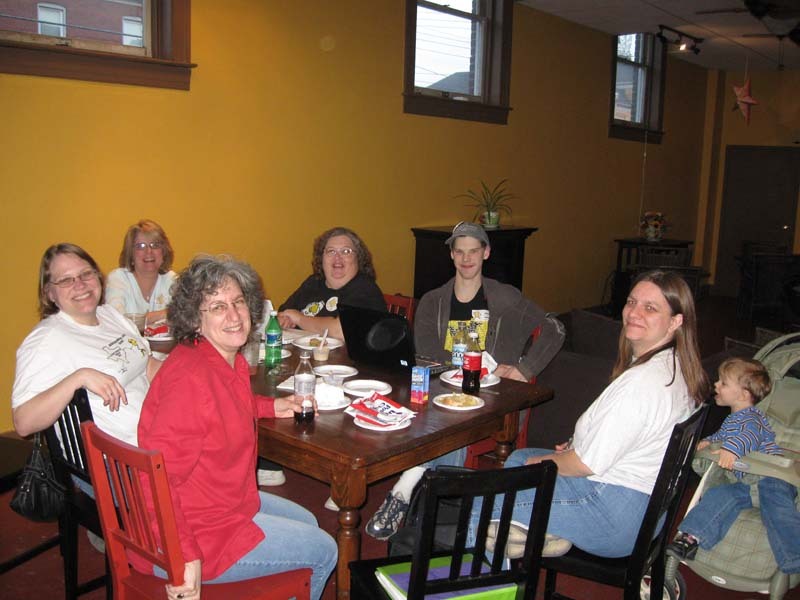 We meet at the cafe each year to exchange books and also remember our dear friend who left us too soon.